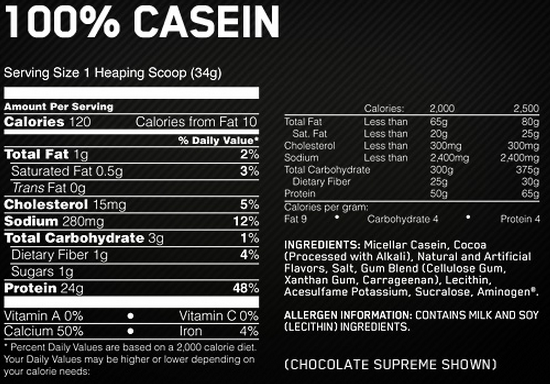 100% Casein is a slow releasing protein source with 24g of casein protein so 75% of protein by weight. 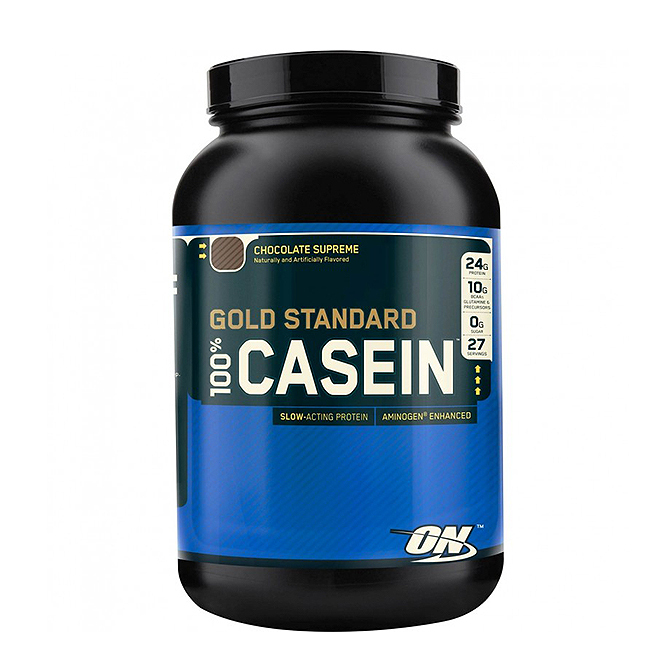 Casein is very beneficial because it’s absorbed much slower than other sources of proteins such as whey. Because of this, it can keep you going for longer and also acts as an anti-catabolic protein. Catabolism is where muscle tissue is burned for energy to use as fuel which ultimately means muscle loss. Casein is able to be so slowly digested because of its pH sensitivity. In the stomach, due to the acidity, it forms a gel substance, and therefore takes longer for it to be broken down into its amino acid components. This is what gives it its unique and potent slow-digesting quality. This is ideal for those who go a long time without eating. With this casein, you won’t be hungry anymore! Each serve contains 24g of micellar casein, almost 5g of branched chain amino acids (BCAA’s), and almost 5g of glutamine and glutamic acid – to further enhance your muscle recovery and growth. Micellar Casein: is an insoluble form of casein with exception slow-release properties. It is the primary protein of cow’s milk and is beneficial for allowing a slower release of amino acids into the body. This slow-release effect allows for the promotion of muscle anabolism over a longer period of time than other proteins. BCAA’s (l-isoleucine, l-valine, l-leucine): increase the cell’s capacity for protein synthesis and the cell’s rate of protein synthesis. They aid muscle recovery and fight the diet effects of muscle catabolism. BCAA’s also have an increased rate of absorption straight into blood stream bypassing liver and digestive tract. Furthermore they also help decrease the rate of protein breakdown serving as a fatigue fighter and help with muscle repair. Glutamine: Normally post-workout, glutamine an amino acid found in your skeletal muscles decreases in concentration, thus it is highly important to replenish its stores. This is because glutamine is essential for gaining muscle mass due to its function of promoting protein synthesis and minimizing the breakdown of muscle. It also has the added benefits of enhancing the immune system and assisting the absorption of nutrients in the digestive tract. Use 1 (one) heaped scoop with 300mls of water once immediately before bed or post workout. Can be taken as a meal replacement for breakfast and or whenever a meal replacement/protein is needed in the day.